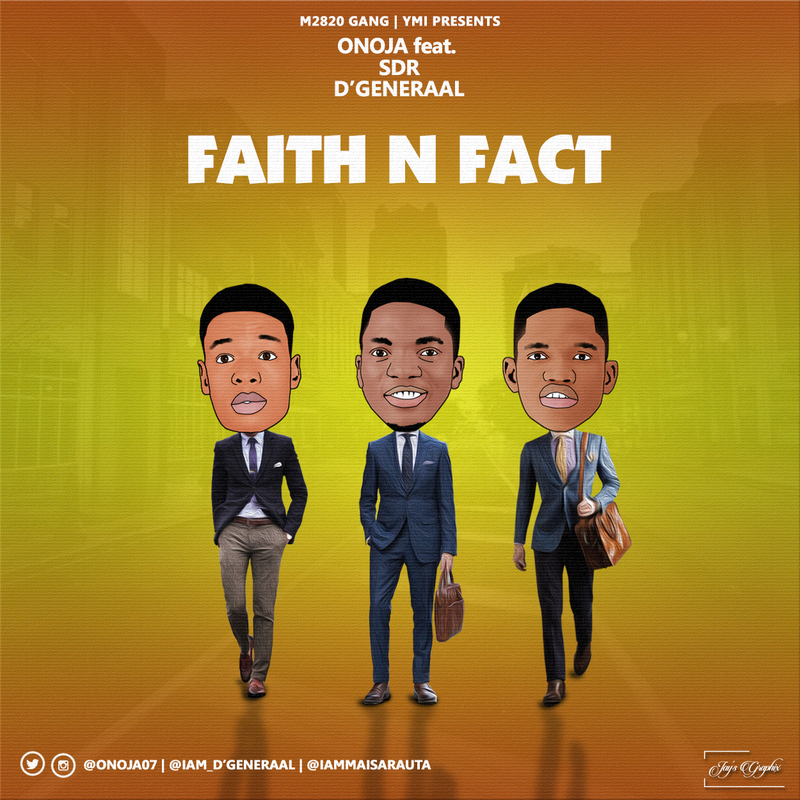 Nigerian rapper, Onoja recruits two fellow rappers to help him on this new single titled ‘Faith N Fact’. Onoja Described the new single below. Out of love for mankind, the all-knowing, all-loving God gave up a very precious gift of His very own begotten son and because of that we have been called back into a relationship and intimacy (Koinonia) with Him. Love is God, God is love, and as children of God we walk by love…Its a culture. He modelled a way for us to tread after. Our faith and confidence is from the fact that we’ve gat Jesus Christ leaving inside of us.